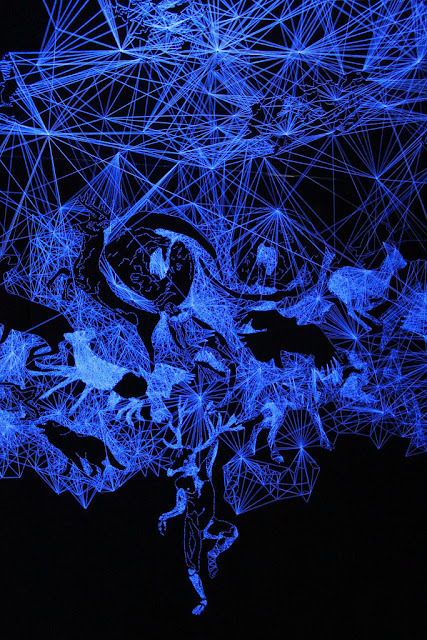 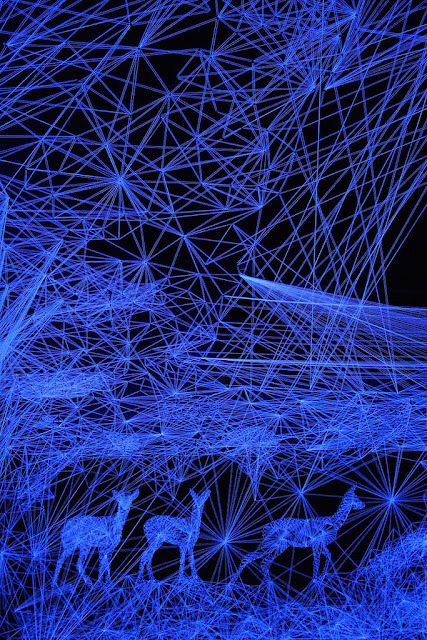 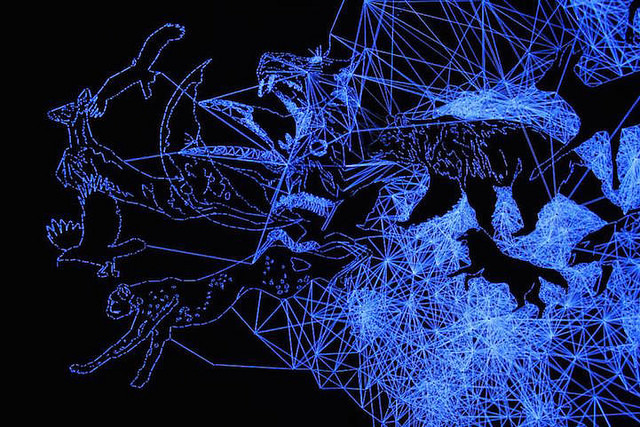 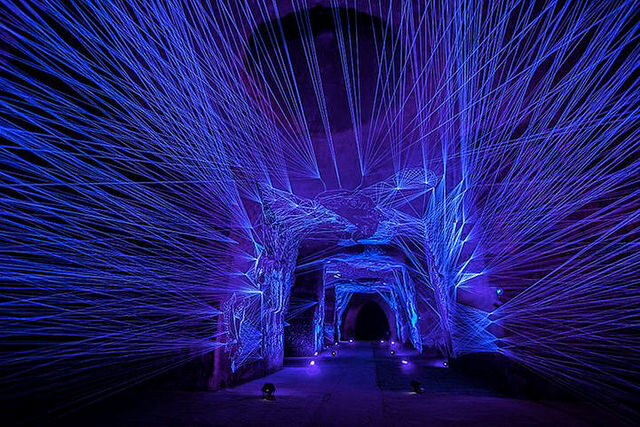 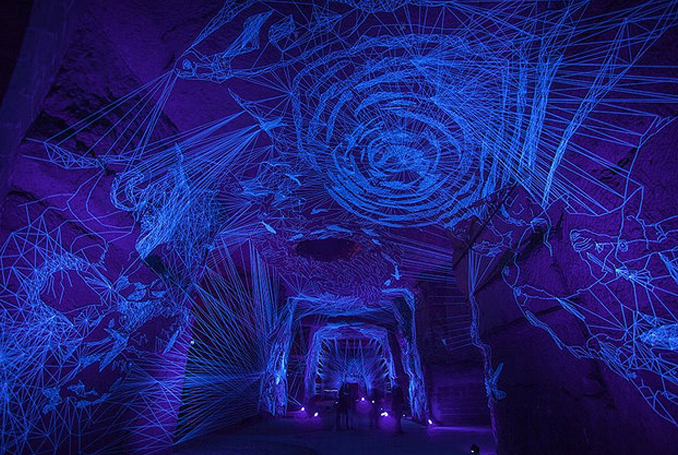 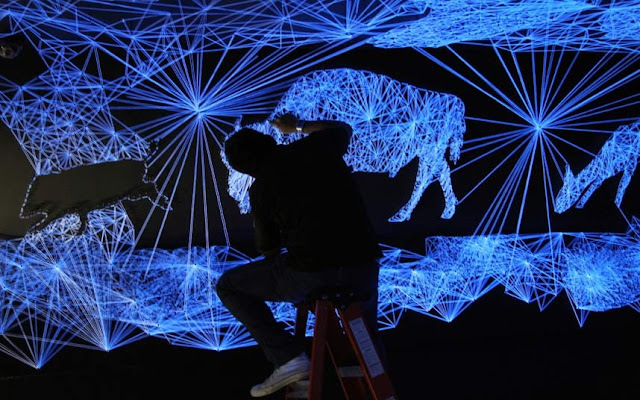 French artist Julien Salaud works with cotton thread coated in ultraviolet paint, to create his most mesmerising series of installations; the Stellar Caves. 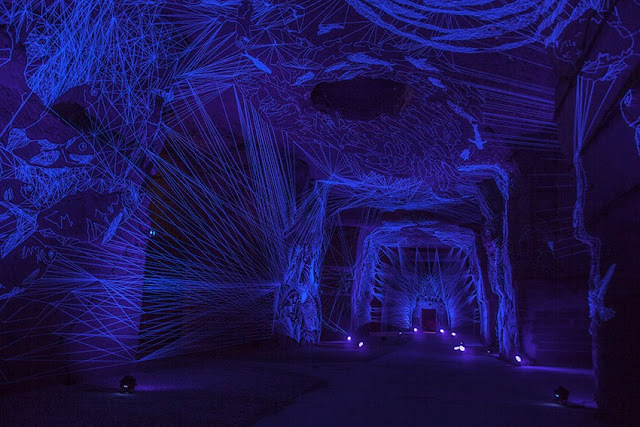 Each thread is meticulously wrapped around precisely placed nails to create his night scene sculptures, which have been exhibited in galleries worldwide. 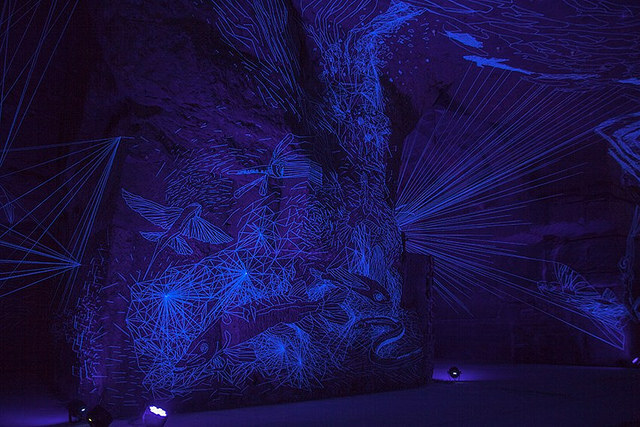 An intergalactic grotto, Salaud's work takes the form of beautiful constellations, with a celestial flair and mysticism. 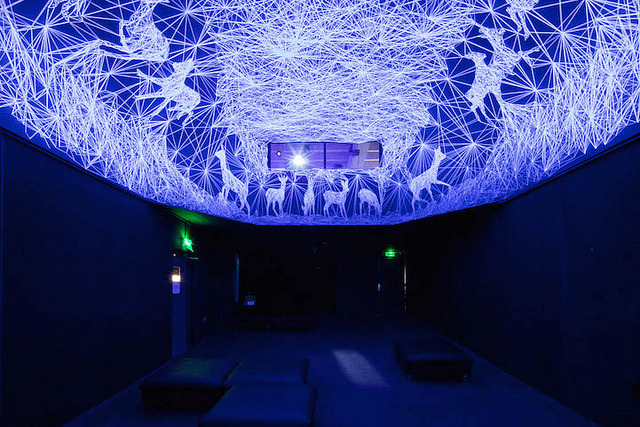 The sculptures come to life when the room is lit with ultraviolet light; the surreal blue glow in the room reflecting a night sky is illuminated by mythology and stars to take you off to a galaxy dreamland. 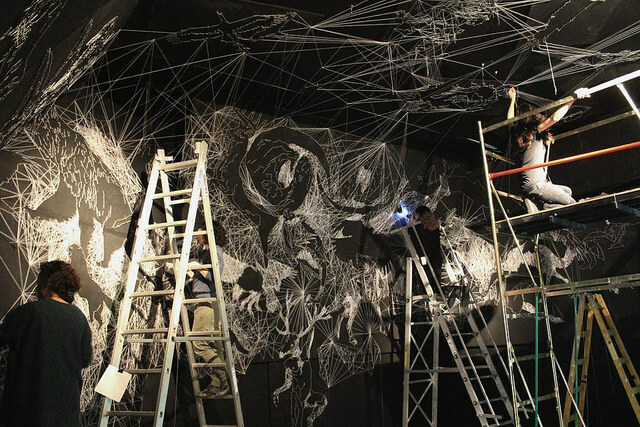 You can view more of Julien Salaud's work via his facebook page here.